Regimus Prime wrote: You know how you don’t realize that you need something until Seibertron.com post in hand pictures of it...? That would make a great meme. This place is a den of enabling. Cyberpath wrote: Flipping insignia gimmick: confirmed!! And the peg-hole is absorbed into his hand when you open it. HasTak neglected to show/mention all these cool features in their solicitations. Galaxy Prime has Blue forearms here, and MAN that makes the figure pop even better. I’m gonna have to find a good blue to match that if the final product keeps them red. Cyberpath wrote: And the peg-hole is absorbed into his hand when you open it. Yeah that's a really cool feature implemented in a brilliant way. I was wondering why have peg holes of the hands are articulated and thought the open hands would look weird. Smooth moves Hasbro. SpikeyTigertron wrote: Can we get confirmation if Jet/Skyfire’s backpack *does* anything?! Looks like hinged trap doors to me. Something tucks into there and it doesn't seem to be any of the transformation bits either. EDIT: well maybe the head tucks in? I think I'm definetely going to use these seekers as my generations seekers. 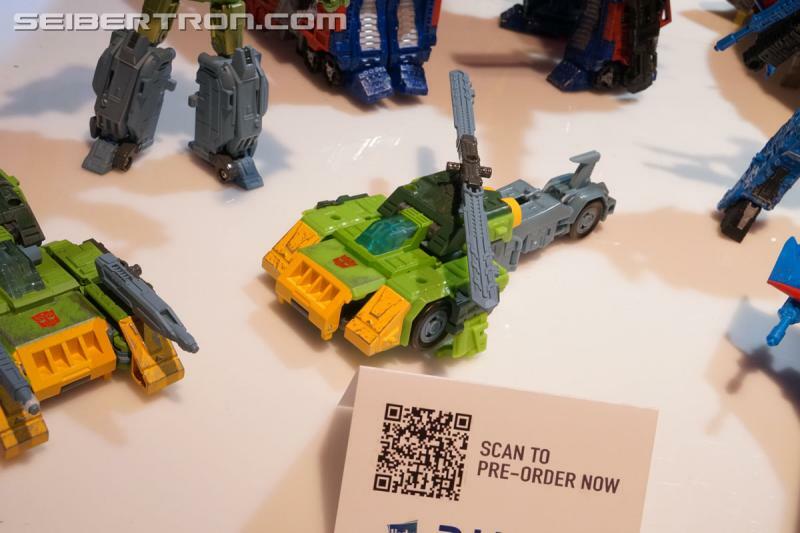 Hasbro you had better not do us dirty like you did with the RID seekers. Wireless_Phantom wrote: I think I'm definetely going to use these seekers as my generations seekers. 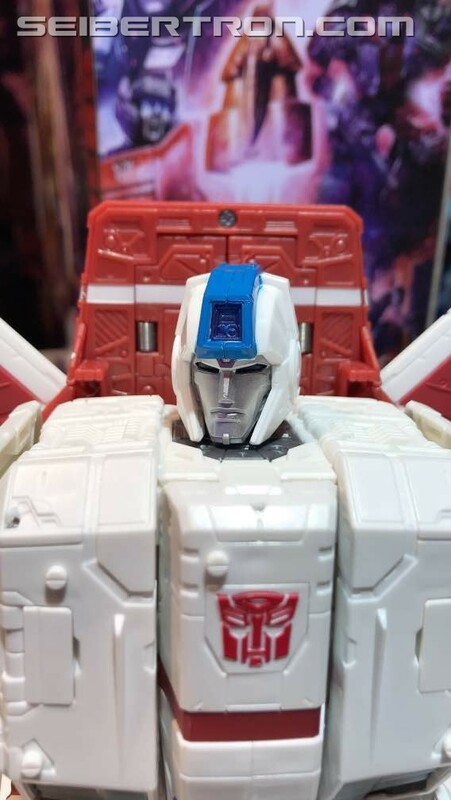 Hasbro you had better not do us dirty like you did with the RID seekers. What did they do with the RID Seekers? The asses didn't finish then. Well, we need at least a Skywarp to complete the trio and then every seeker minor seeker is fine as a one off. What WOULD piss people off is if they introduce only a single Conehead or Rainmaker. Delta Magnus wrote: This is because you are a hamhanded idiot. All of the new reveals are available to order online at various stores like Pulse, BBTS, Target, Amazon and more. Clicking on any of the images below will bring you to the full gallery of what was on the show floor. We also have a video of said show floor below. Okay, Jetfire’s disappearing fist hole thing is actually really cool. To the MP shelf you go! 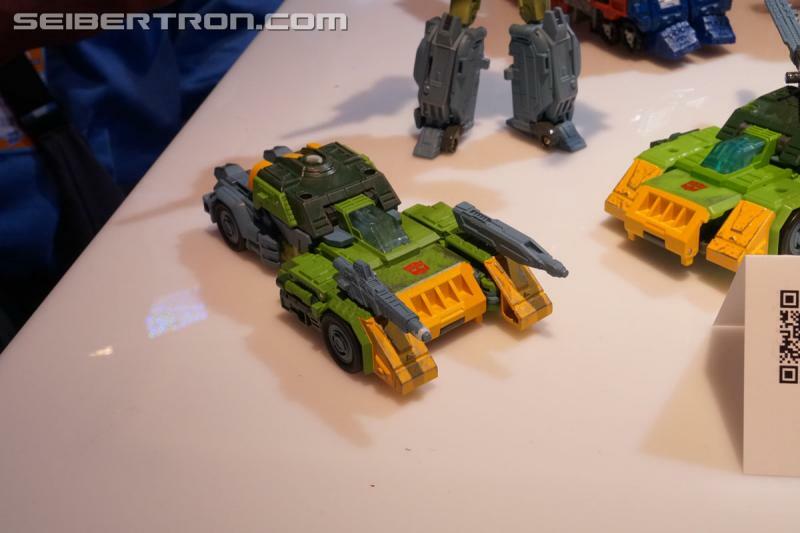 Springer looks nice, but I already have the 2014 one and like it, so might pass. I want to get Thundercracker and Starscream but scared they won’t do Skywarp. That’s what happened in Robots in Disguise (2015), and it broke my heart. 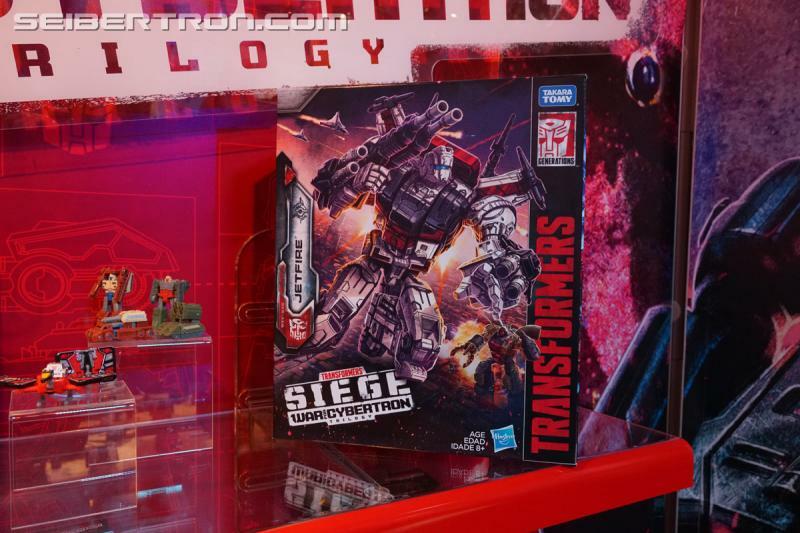 G2 Megatron’s a nice surprise, and I hope they reuse the head and do IDW pre-war Megatron from it, unlikely as that is. Mindmaster wrote: Okay, Jetfire’s disappearing fist hole thing is actually really cool. To the MP shelf you go! 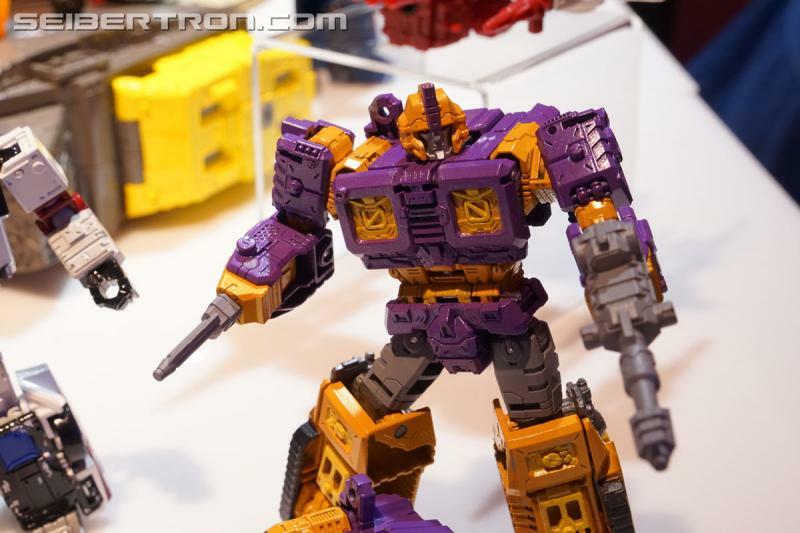 That impactor looks great, I'd want a Slammer retool of the figure itself! As an exclusive, but he's confirmed. 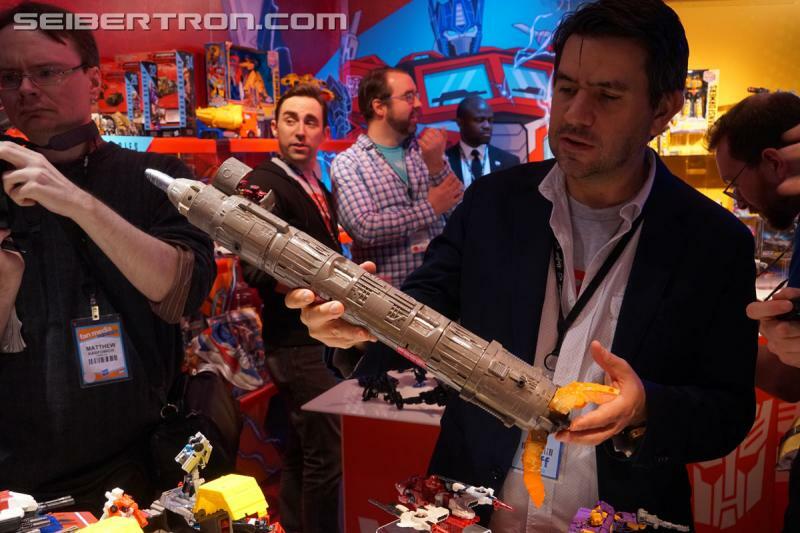 Omega Supreme's Rocket is fuuuuge! Springer's car mode is quite terrible. 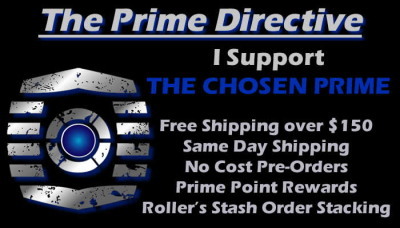 Jetfire, Thundercracker and Omega shall be bought on sight. Definitely have to say Jetfire and Omega Surpeme are amazing as hell. Love the insignia gimmick on Jetfire. Not that I don’t mind the efforts on the look of the Seekers, but this current look reminds me of the Battlestar Galatica Vipers. Not quite the same but there is a slight similarity. I say that loosely. But overall loving how this series going! 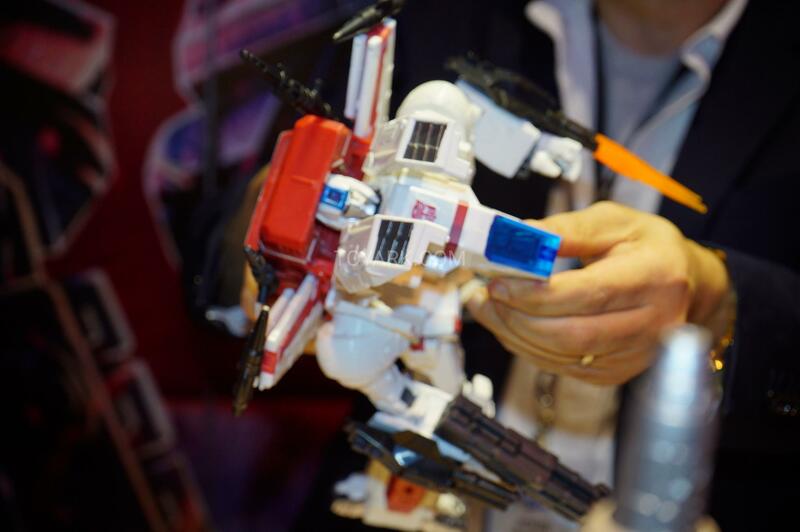 My God, I hope Hasbro & Takara stop revealing things soon. My heart (& wallet) can't take much more of it. 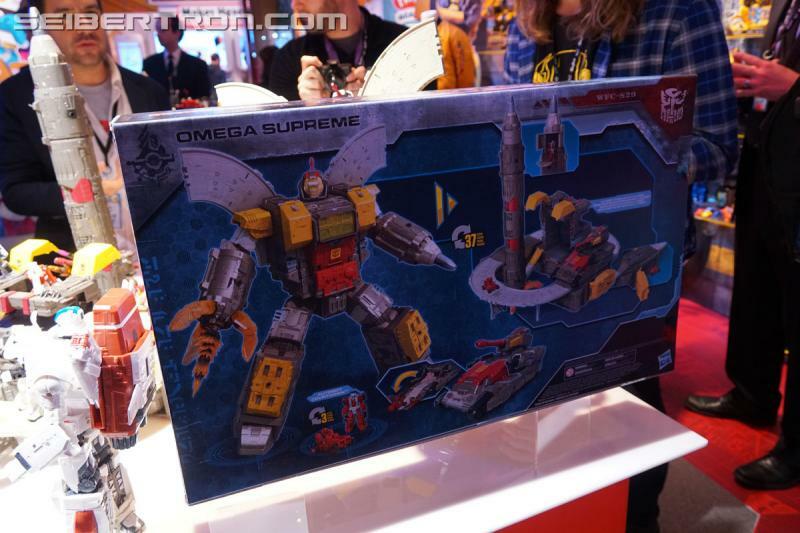 Omega Supreme is a definite yes. One of the best looking titans I've ever seen. 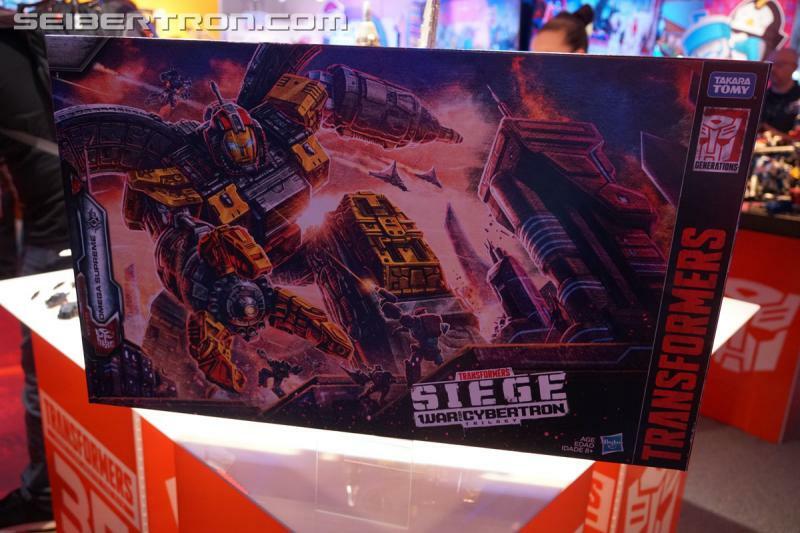 Impactor & Mirage are a likely purchase, mainly due to them coming out a literal day before my birthday. 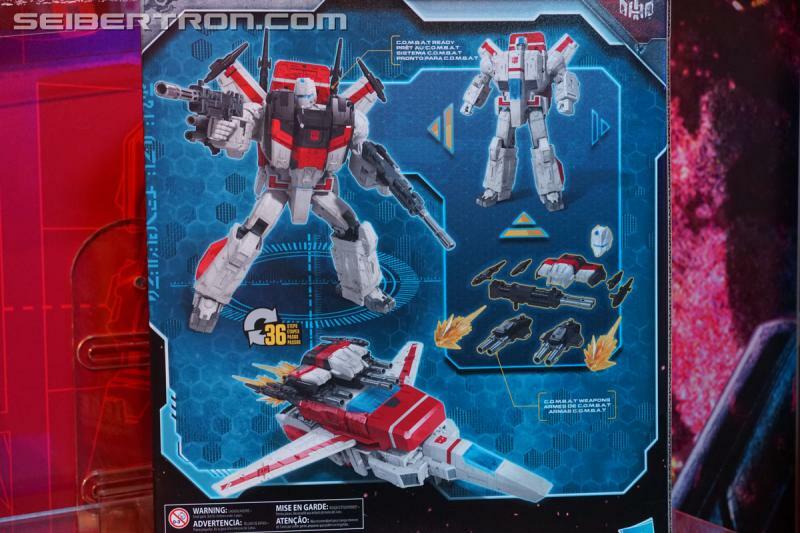 Jetfire is going to be hard to get, as I now need to consider another higher price point in the mix of every other figure's price point. But if I can, it will be well worth it. I don't own T30s Springer, so a Springer of any kind is welcomed. 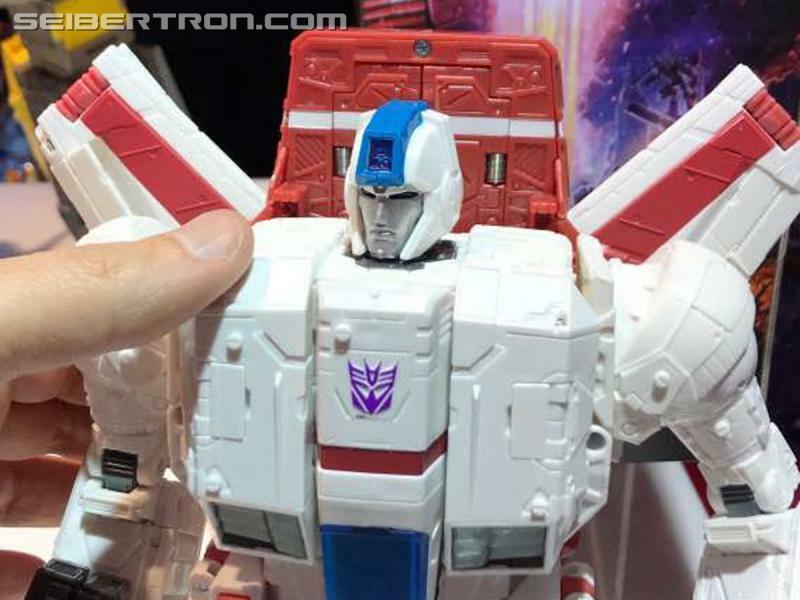 I need to see how good Starscream is before I double dip on the mold. 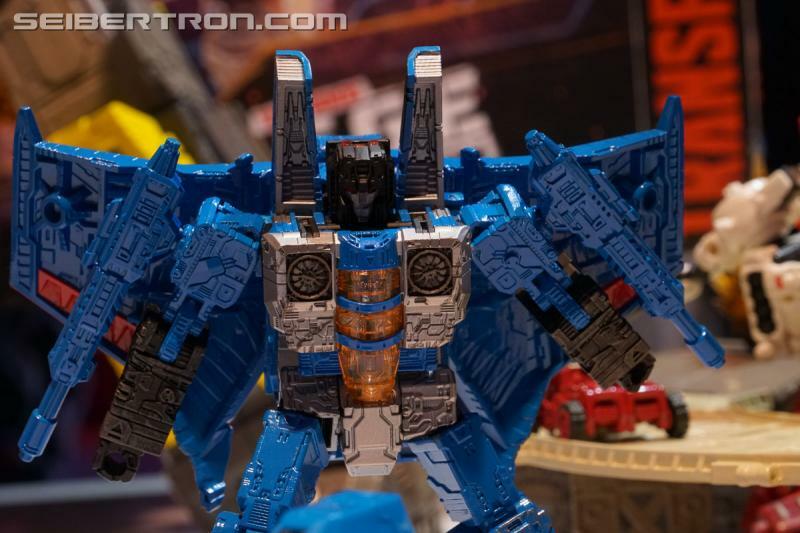 If he's better than Potp Screamer, then Thundercracker will most likely come after. I'm on the fence for those 35th Anniversary figures, as I already own Prime & Megs, & I've never really liked Soundblaster, But Bluestreak is a definite. G2 Combat Artic Camo Megatron is one I've been waiting for since it was announced, & I already ordered it off of Hasbro Pulse. Cybertron Convoy is a definite. He looks fantastic. Absolutley fantastic. 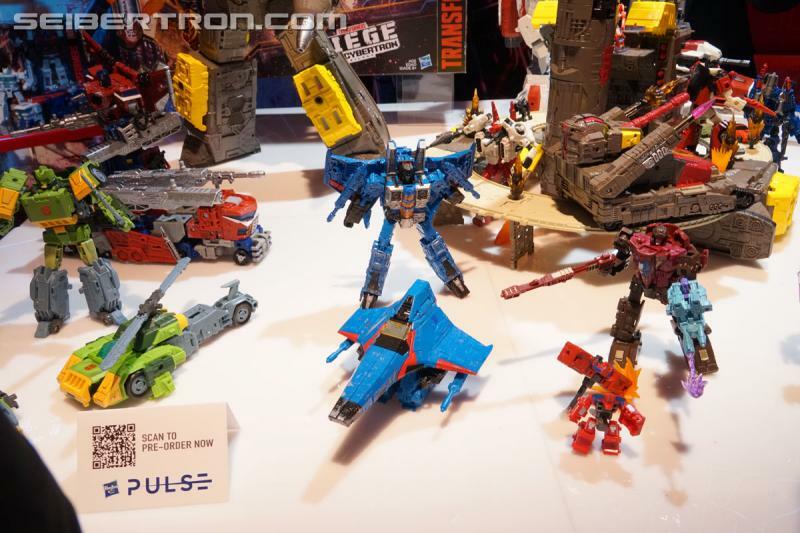 Hasbro & Takara really hit it out of the park this time, which makes me really hopeful for the future. 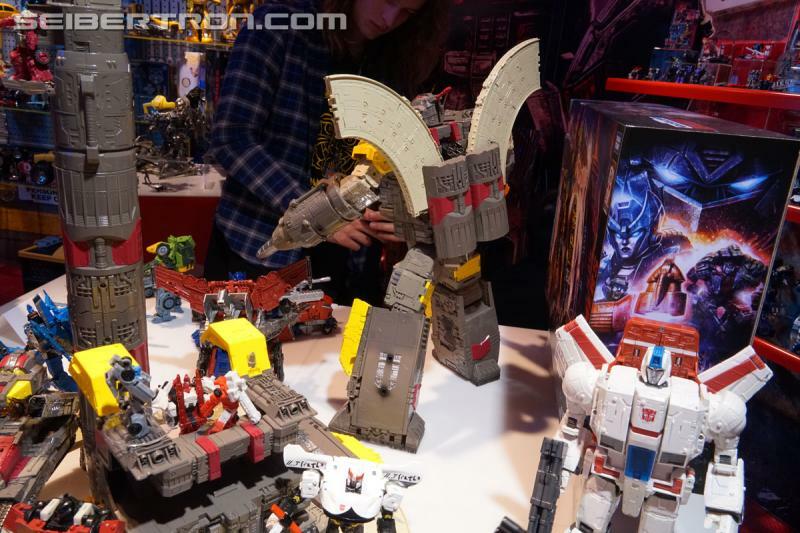 I wouldnt be surprised if we did get 3P tracks, as to Omega Sentinel I really want one but I honeslt would not homd my breath, Hasbro is very cautios about releasing a bunch of Titan class figures because of the cost. 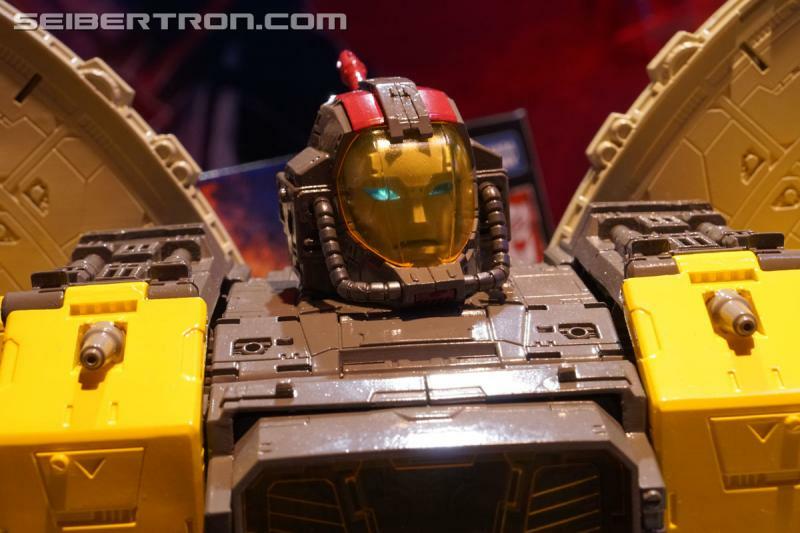 MAYBE as an SDCC figure, but outdide of SDCC the only repaint we have gotten of the Titans was Grand Max from Takara. Could you point me to where this was confirmed? I haven't heard anything about it. 5,608 pages were recently viewed by 1,354 unique visitors. This page was viewed 1 times on Saturday, April 20th 2019 10:03pm CDT. © 2019 Seibertron, Inc. DBA Seibertron.com. All Rights Reserved. Established June 2000. Seibertron.com is owned by Ryan Yzquierdo.